Home | Herbs & Holistic Health | Herbs A-E | Bilberry | Bilberry 1000 mg.
Bilberry is a traditional herb with fruits that are blue-black or purple in color. It is also known as Huckleberry or Whortleberry. Our specialized formula provides bilberry in a concentrated form. 90 softgels. Ingredients: Soybean Oil, Gelatin, Vegetable Glycerin, Soy Lecithin. Contains <2% of: Caramel Color, Yellow Beeswax. Warnings: If you are pregnant, nursing, taking any medications or have any medical condition, consult your doctor before use. Discontinue use and consult your doctor if any adverse reactions occur. Keep out of reach of children. Store at room temperature. Do not use if seal under cap is broken or missing. WARNING: Many food and beverage cans have linings containing bisphenol A (BPA), a chemical known to the State of California to cause harm to the female reproductive system. Jar lids and bottle caps may also contain BPA. You can be exposed to BPA when you consume foods or beverages packaged in these containers. For more information go to: www.P65Warnings.ca.gov/BPA. Bilberry 1000mg is rated 4.8 out of 5 by 9. Rated 5 out of 5 by DellaWV from My Billberry shopping place. 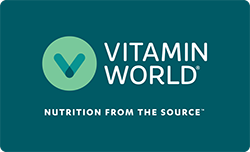 So thrilled that Vitamin World had Billberry in 1000mg. Will be back on a regular basis to purchase more. And love their discounts. Rated 5 out of 5 by Randy from Wonderful product! You always do well with customer service!